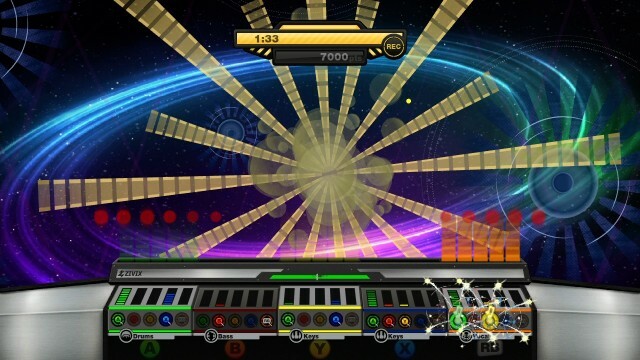 JAM Live Music Arcade was developed by Zivix and published by Reverb Publishing and 505 Games. It was released May16, 2012 for 800 MSP. A copy was provided for review purposes. It’s been quiet in the world of music games recently, leaving our plastic guitars and drums to collect dust for over a year. JAM set out to deliver a brand new music experience, hoping to gamers a new reason to break out the fake six string. JAM lets players get creative with the game’s 32 tracks, allowing elaborate mixing and recording through the game’s soundboard. It may sound good, but it could have been so much better. There was potential, but it was crushed under the weight of trying to make it a game. The “Jam” part – What separates this game from other music games is the Jam mode. The game gives you every sound track in a given song, and lets you mix and match them however you want. Experimenting is fun and you may get some cool results. Rather than giving you free reign, the game has a scoring system that rewards you for changing tracks on beat, and stringing successful changes gives you a multiplier. As the game progresses you’re introduced to new mixing options, such as solos or multiple sound boards. You can even record your creation to replay in Arcade mode. You are the musician – The game can be controlled with either a standard controller or a guitar. Standard controller controls are passable, but using a guitar is far more interesting. Guitar controllers are used to their full potential, using the strum and whammy bar in new ways to expand the musical possibilities. The controls are somewhat complicated and will slow down even the quickest of fingers, but thankfully this game prefers perfect entrances over fast reflexes. In reality it makes no sense why you’d use a guitar (most of the tracks you play aren’t guitar), but it works so well it doesn’t really matter. The “Music” part – JAM comes with a 32 song set list which just doesn’t hit the mark. While they do get the job done for the gameplay, they’re just not our taste. Sure, there is a Fall Out Boy song and the disco classic Funky Town, but most of the songs you’ve probably never heard before. The game would benefit from more well-known music, although we understand why that may have been hard for the developer. 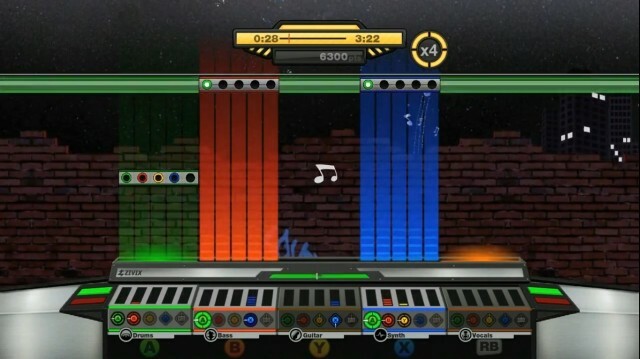 The “Arcade” part – While every song can be creatively mixed, a pre-recorded version of each song can be played in the Arcade mode. 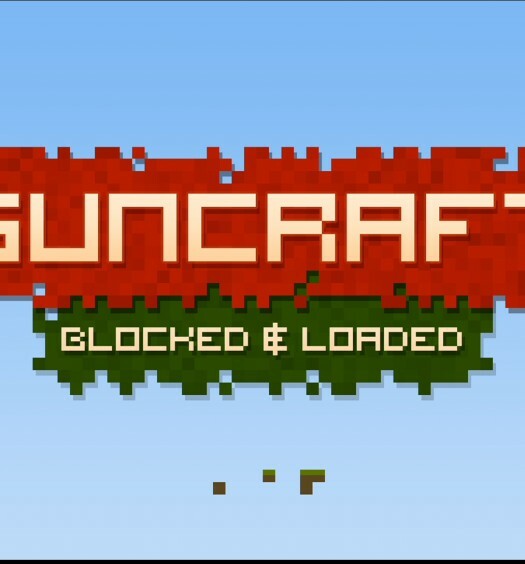 This mode is more reminiscent of other music games, which require timing over creativity. Unfortunately this mode is a huge mess. What makes the Jam mode so creative makes the Arcade mode over-complicated and cluttered. Although it is possible to do well, even on the easiest songs its too hard to focus on five music tracks, each with five buttons, and time things perfectly. The mode is only unlocked after you complete all the Jam songs, so it assumes you have everything down and doesn’t offer any easier difficulties. This mode feels like a poor knock-off that just isn’t fun. Repetition – Repetition may be a good strategy for making a song, but it doesn’t work here. You can play a song in Jam mode for up to 10 minutes, which feels like forever. You can quit whenever you like (there’s no way you can fail), but you’ll want to hit gold before you do. Reaching gold takes forever, requiring numerous well-timed entries, each followed by a small wait. By the time you reach silver you’ll most likely be bored with the song. After playing a few songs, it will feel like you’re just doing the same thing over and over but with different beats. There are some new gameplay additions as you progress, but its not enough to stop the feeling of monotony. 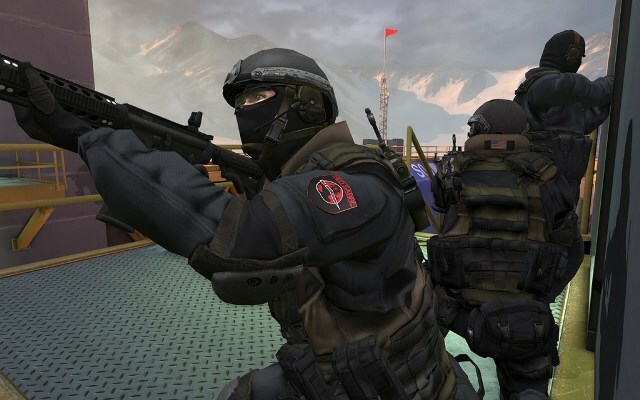 Jamming is the game’s only redeeming quality, but it won’t be long before it overstays its welcome. JAM‘s musical creativity may impress on first impressions, but dig a little deeper into the game and the joy quickly goes away. The Jam mode has a scoring system that was needlessly tacked on, and the arcade mode tries too hard to pull in the usual music game audience. While the mixing is good, more effort could have been put in to keep it more interesting. As odd as it may sound, JAM just feels like it was trying too hard to be a game.